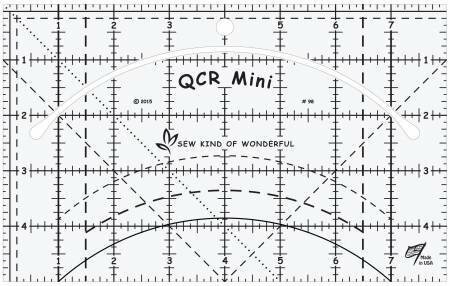 Sue Stanton will demonstrate how to use Quick Curve Mini Ruler from Sew Kind of Wonderful. It features a curve cut out for cutting out fabric pieces and markings for squaring up fabric. Another tool to make our creative efforts more efficient. No fee. Bring a cup of coffee, tea. Join us!